Lifecycle marketing means exactly what it says; marketing to specific contacts based on their lifecycle. No, this does not mean their age! The term “lifecycle” refers to where they are in the nonprofit sales cycle. Is a certain contact already an advocate for your nonprofit or are they just semi-interested in your nonprofit and what you are working on? These stages are so significant for nonprofit marketing. Obviously, you would not want to send informational content, like an E-book or a Whitepaper, to someone who is already a known advocate of your nonprofit. It is those contacts who still need to learn more about your organization who should be receiving these pieces. Otherwise, what should be benefiting your NPO, could potentially be seen as spam. So what are these crazy lifecycle stages that I speak of? There are seven different stages when it comes to nonprofit marketing – subscriber, lead, marketing qualified lead, sales qualified lead, an opportunity, a customer and an evangelist. What’s the difference you may ask? A subscriber is someone who knows about your nonprofit and has opted in to hear from your organization sporadically. Maybe they have signed up for your newsletter or blogs. These contacts need to be nurtured through content to move them through the lifecycle. A lead shows a bit more interest than a subscriber. Maybe they have filled out a form on your website for downloadable content. Those forms typically include more than just an email address. As you track their behavior throughout your NPO’s website, they may demonstrate a higher degree or sales readiness through multiple pieces of content downloaded and forms filled out. A marketing qualified lead (MQL) is someone who has “raised his or her hand” as a contact that that is deeply engaged in what your NPO is doing. Perhaps they have downloaded a demo request or free consultation from your website. This shows they are ready for sales! 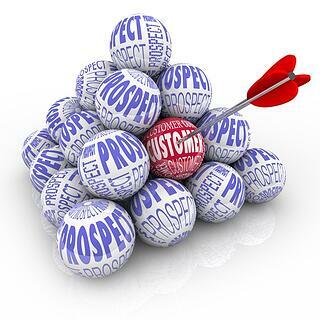 Sales qualified leads are those that are worthy of a direct sales follow-up. These are leads handed over to the sales team from the marketing team. This may be a contact that is very engaged in the website, has taken a pledge to donate or volunteer, and now needs to be reached out to. Once imported into your nonprofits CRM system (if you don’t have a CRM, click here – we can help you with this), they become an opportunity! And finally, once these opportunities nurtured and ready, they turn into everyone’s favorite stage - paying customers! After some time of being a customer, these contacts turn into evangelists, who become advocates to your NPO. They tell others about your mission and help bring in new leads that you may have not been able to access otherwise. There you have it! Now you know the immense difference between someone who is almost involved in your NPO to someone who simply receives a newsletter every month. Understanding this is the first step to proper lifecycle marketing. Segment your current contacts into their appropriate stage in order to properly market to them. Feel overwhelmed with these lifecycle stages? Not sure where to begin? Don’t worry, we can help! Click here to request a free call.